Home / Art / News / Rihanna / A GIANT ARTWORK OF RIHANNA'S HEADLESS BODY IMEONEKANA HUKO BERLIN. 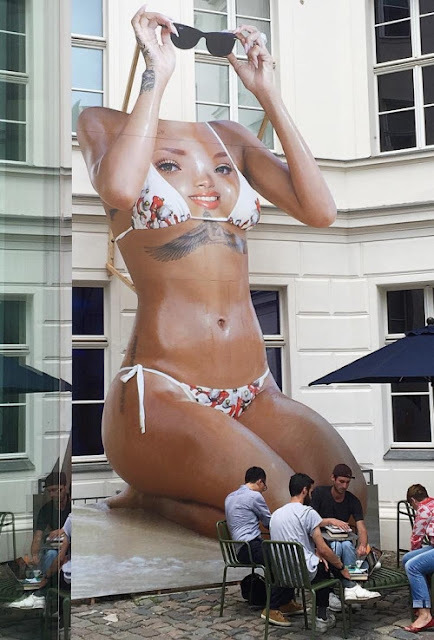 A GIANT ARTWORK OF RIHANNA'S HEADLESS BODY IMEONEKANA HUKO BERLIN. Huko Berlin , Kunst-werke Institute of contemporary Art, a big cut-out ya mwili wa Rihanna iliyotengenezwa na a Colombian artist JUAN SEBASTIAN PALÀEZ. Hiyo cut-out ipo exactly the same na Rihanna except tu haina kichwa.